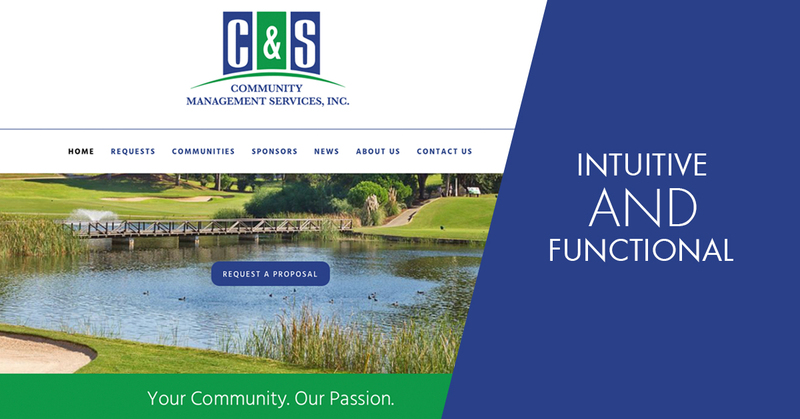 C&S Management is one of the select few management companies on Florida's West Coast to be an Accredited Association Management Company. Offering Accounting, Administration and Maintenance services (along with important forms, documents and more), C&S has heaps of useful information placed on their one website. This is the main reason why Chris Brown, President of C&S decided it was time to replace the old with the new. “We wanted a new website which would function well on different platforms: computer, tablet and phone,” mentioned Chris. To make this happen, we started by building a custom template that worked naturally on any device. We didn’t want readers to get lost or confused while scrolling through the site. This meant simplifying the homepage and menu into appropriate categories. Starting with the header, an original crisp photo and button reading “Request a Proposal” steal the spotlight. Continue to scroll through and find a quick blurb on what the company is, placed next to a short video for those interested in more information. Next you’ll clearly find a link to their services, and the latest blog posts. Are you reading from a phone, tablet or large desktop? Visit the site to see it firsthand.